Spectators are very welcome at this event and a running order will be available including information about the breeding of each pony. The South View Cafe will be open and there will also be information about the SPSS available. Entry fee £20 per class. Entries close on 20th October - late entries are £2 extra per entry. Ponies may be of known or unknown breeding and do not need to be registered with the SPSS. Where ponies have a pedigree, please enclose a copy of this with the entry form (so that breeding information can be published). Saddlery & Equipment and Competitors' Dress rules as per BE Members Handbook 2012. Protective Headwear to current safety standards must be worn at all times while mounted (but does not have to have a BE or other "hat tag"). The judge will be looking for potential for the future in the young ponies rather than how well they are presented. 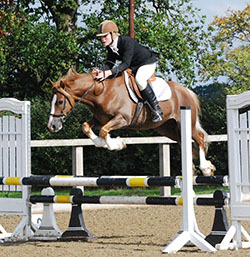 The judge will look for an athletic, loose moving pony with a promising jumping technique that given the correct training should develop physically and mentally into a capable eventing pony. In the dressage phase, although the riders are asked to perform a specific test (BE92 for 4 & 5 year olds; BE 110 for 6 year olds), the judge will not be giving marks for the individual movements but will be looking for correct, elastic and regular paces with a swinging back. 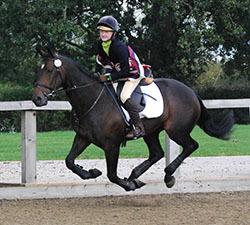 The pony’s potential to perform a good dressage test in the future and trainability are key. Ponies should be presented in a snaffle bit (as per the BE permitted snaffle bits list) for the dressage. The ponies will be asked to jump a short course of show jumps followed by some cross country style (rustic) jumps. The judge will be looking for a bold and athletic pony with good technique and a pony with these qualities will not necessarily be penalised for knocking one fence down (or for a 4 year old having one refusal) provided that the pony learns from the mistake. However, knocking down more than one fence will reduce the pony’s score and 3 refusals will mean elimination. It is acceptable for 4 year old ponies to jump from trot. 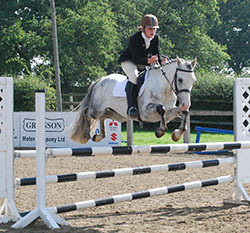 The maximum fence height will be 75cm for 4 year old ponies, 85cm for 5 year old ponies and 95cm for 6 year old ponies and the first few fences will be lower. The jumping and dressage scores will be added together to give an overall score and the results of the age sections will be determined on this overall score. 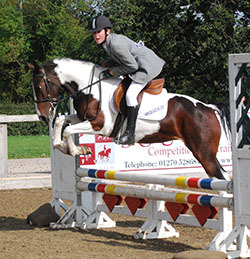 If two or more ponies score equal marks, the pony with the higher temperament score will take the higher placing. 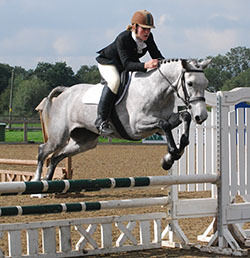 The two ponies with the highest score from each of the 3 age related classes will come forward for the Championships. In the Championships, the judge will assess the ponies for star quality, suitability and potential to make a FEI Event Pony. As part of this, the judge may require the ponies to show extended canter and/or gallop. The judge will also take into account those marks already allocated and select the Overall Champion and Reserve Champion. All ponies will perform their dressage tests at a time allocated in advance (see link from top of this page from 6pm on Thursday 25th October). Dressage tests may be "called" if the rider wants. 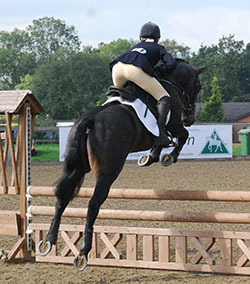 Once all the dressage tests have been completed, the ponies will come forward in the same order for the jumping phase. Tack may be changed between the dressage and the jumping phases but must comply with the BE Members Handbook 2012 Annex 5. Competitors dress should be in accordance with the BE Members Handbook 2012 Annex 6 (rules for BE80, BE90, BE100) and Protective Headwear must be worn at all times while mounted (but does not have to have a BE or other "hat tag"). Prize Money per class of depending on entries. Less than 3 entries, no prize money; 3 to 5 entries, £40 to winner; 6 to 8 entries, £40 to winner and £30 to second; 9 or more entries, £40 to winner, £30 to second and £20 to third. * Lesson with Jonquil Hemming to highest scoring Pony Club member (membership number to be given on entry form and Pony Club tie to be worn). D&J Saddlery, who have a tack shop in Llanllyfni, Carenarfon a well as an eBay shop have generously donated a £50 voucher to the highest scoring Mountain and Moorland registered pony. 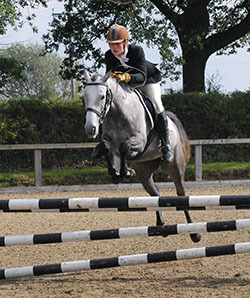 Mostyn Farm Ride & Cross Country, at Whitford near Holywell and easily accessible from A55 have generously donated a voucher to each class winner. Paint My Pet, original oil pet portraits from a photograph by a professional artist, have generously donated a £125 voucher to the Overall Champion. Wish Bands, who have generously donated a beaded browband to the Reserve Champion and vouchers to the top scoring 4, 5 and 6 year old ponies. 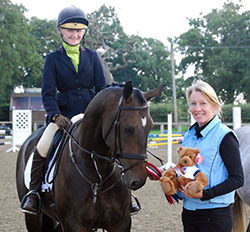 Jonquil Hemming, the British Eventing Pony Team trainer has generously donated a lesson to the highest placed Pony Club member. 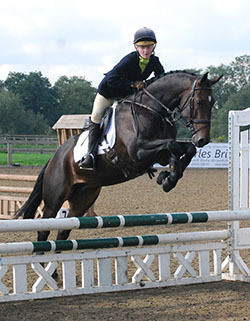 British Eventing have generously donated a training session worth approximately £40 to the top scoring pony in each of the 4, 5 and 6 year classes.